Of the roughly 2,000 musical instruments and related materials in the museum's collection, about 1,400 are on permanent display. Traditional music in Japan was centered in Osaka, Nara, and Kyoto, and spread from there to all regions of the country. 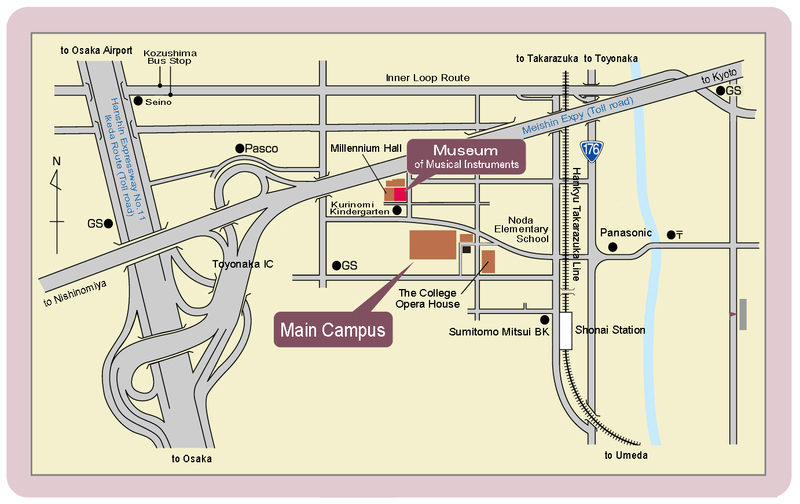 The museum has exhibits of numerous instruments used in traditional music and entertainment, and is proud to be a leader in Japan in terms of exhibit scale. All on display in one hall are gagaku (Japanese court music instruments), noh theater instruments, biwa, koto, shamisen, kokyū, shakuhachi, and instruments used in folk entertainment. It's also possible to enjoy the intricate ornamentation of the instruments, which use Japanese traditional arts, zōgan (inlay), raden (mother-of-pearl inlay), makie (gold Japanese lacquer). Based on the founding philosophy of the Osaka College of Music, the museum aims to disseminate the cultural resource of Japanese music to the world from its base in Osaka. In the European instrument exhibit, visitors can view instruments used in classical music. An exhibit of a style of fortepiano from the era when W.A.Mozart, L.v.Beethoven, F.Schubert, F.Chopin, F.Liszt, and C.Debussy were creatively active is on display. The stringed instrument collection donated by Suntory Holdings Limited includes instruments by noted crafters such as A.Stradivari and G.Guarneri, and the collection is known even overseas. An exhibition that allows one to trace the changes in instruments such as the flute, oboe, clarinet, and brass instruments is likely to be of interest. Visitors can also see an original saxophone, created by Adolphe Sax. Visitors can enjoy the form, materials, and ornamentation of folk instruments from various regions all over the world, to prompt wonder about the roots of the instruments in use today. In the exhibit corner, there is a display of materials regarding Professor Koji Nagai, the founder of the Osaka College of Music, and materials regarding the history of the college. Visitors can also view books on musical instruments. *One accompanying assistant of a person who needs assistance is free. The museum is located in the Second Campus. 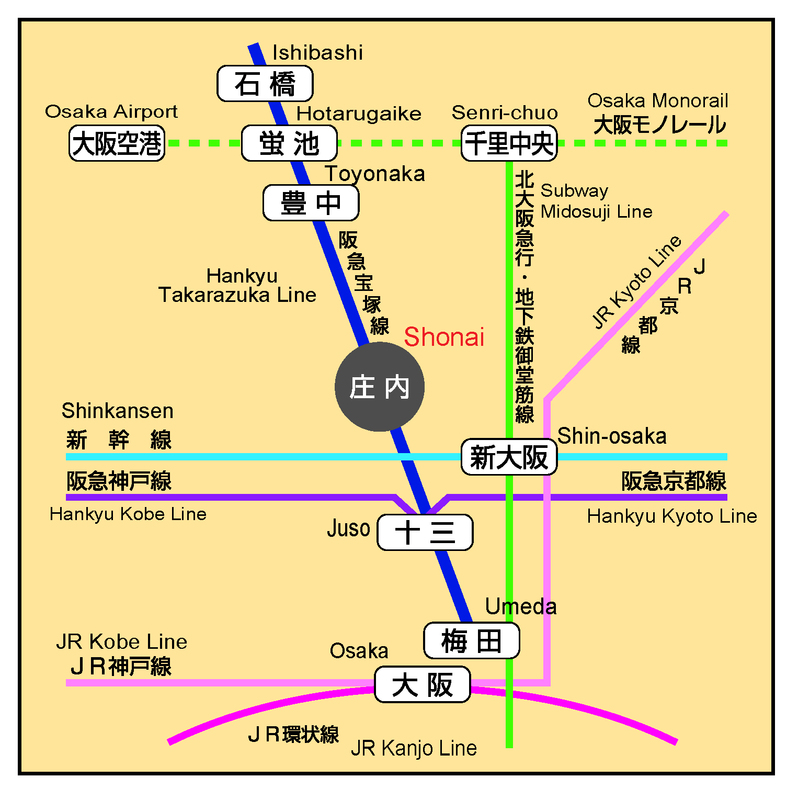 Hankyu Railway Shonai Station is an additional 10 minutes walk away from the Main Campus. Guest Parking is not available on the campus. It may be closed temporary. Please inquire the schedule before you visit. and September 24(Public holiday) are normally open. ※ For Foundation anniversary transfer holiday on October 15(monday) it is a closed. Officials in the campus can not use it. Please see it from here.